The ever increasing number of cars on the roads especially in major cities of Pakistan, has caused the traffic congestion to increase greatly. This has resulted in increased number of roadside accidents and has caused many other problems. According to the recent surveys conducted by infrastructure development departments of different provinces of Punjab, the primary cause of traffic congestion in the country’s major cities is the result of lack of parking space and resultantly wrongly parked cars on the main boulevards. There are two solutions to this issue; either road widening or construction of multi-storey car parking plazas in the busy commercial areas of metropolises. 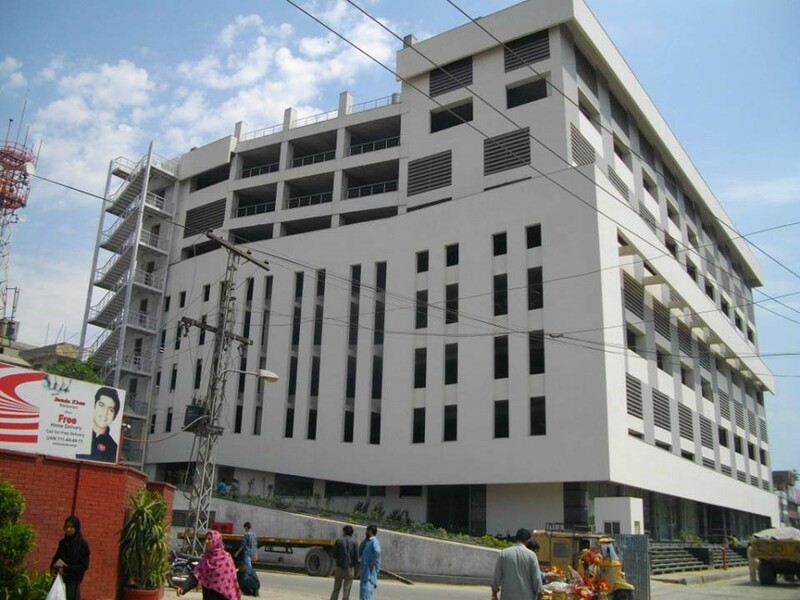 A couple of good examples of multi-storey parking plazas in Lahore include Park & Ride Plaza in Liberty Market and Iqbal Town Parking Plaza in Moon Market. These parking plazas have not only facilitated a lot of people, but have also greatly reduced traffic congestion in these extremely busy areas of the provincial capital. Likewise, Karachi, being the largest and the busiest city of Pakistan has several multi-storey parking plazas already, including the Parking Plaza on New M. A. Jinnah Rd, Karachi, the CDGK Parking Plaza in Saddar Karachi and Junaid Plaza Car Parking Area on University Road Karachi. As for the capital city, F-7 parking plaza and Jinnah Super Market southern parking plaza are a couple of good examples. If we look back into the history of the multi-story car parks, we’ll come to know that the earliest known multi-story car parking was constructed in 1918 in West Loop area of downtown Chicago, Illinois. This plaza was made especially for Hotel La Salle. The hotel was demolished in 1976 though; the parking plaza remained there till 2005 after failing to receive landmark status from the city of Chicago, IL. In the early 1920s, a cartoonist from England imagined a hotel that was especially for the cars. The government is working closely on parking plaza construction in Pakistan, in all busy areas of the major cities like Karachi, Lahore and Islamabad, in order to avoid traffic congestion and the consequential problems.